EKU's School of Business and the College of Business and Technology are pleased to announce the induction of business students into the Beta Gamma Sigma honor society. 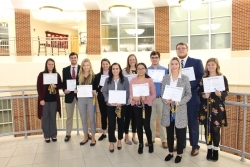 The new members were honored at a formal induction ceremony on Tuesday, December 4, 2018, in the Executive Conference Room of the Business and Technology Center on the EKU campus. 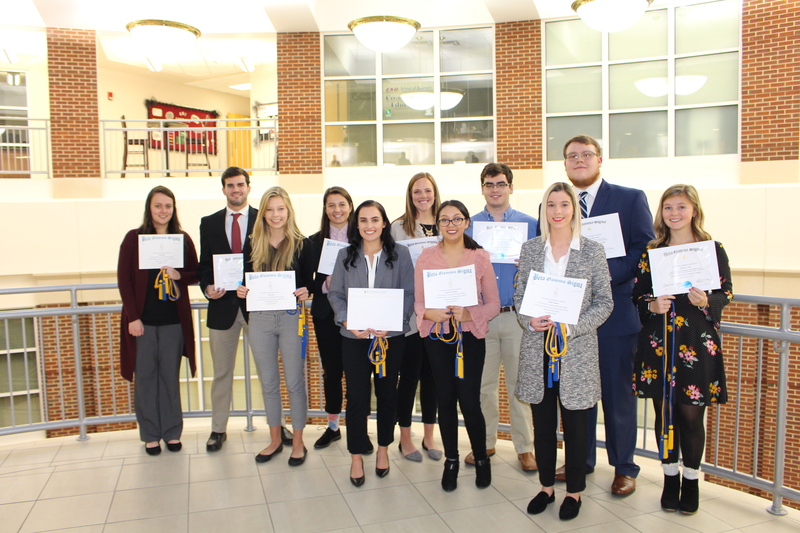 Business seniors, representing the top 10 percent of their graduating class, juniors representing the top 7 percent of their class, and master's students representing the top 20 percent of their graduating class were invited into membership in formal tapping ceremonies. Founded as a national organization in 1913, the first national honor society in business was a merger of three separate societies established to honor academic achievement in business at the University of Wisconsin, University of Illinois and the University of California. Today, Beta Gamma Sigma is an international honor society that provides the highest recognition a business student anywhere in the world can receive in an undergraduate or master's program at a school accredited by AACSB International. 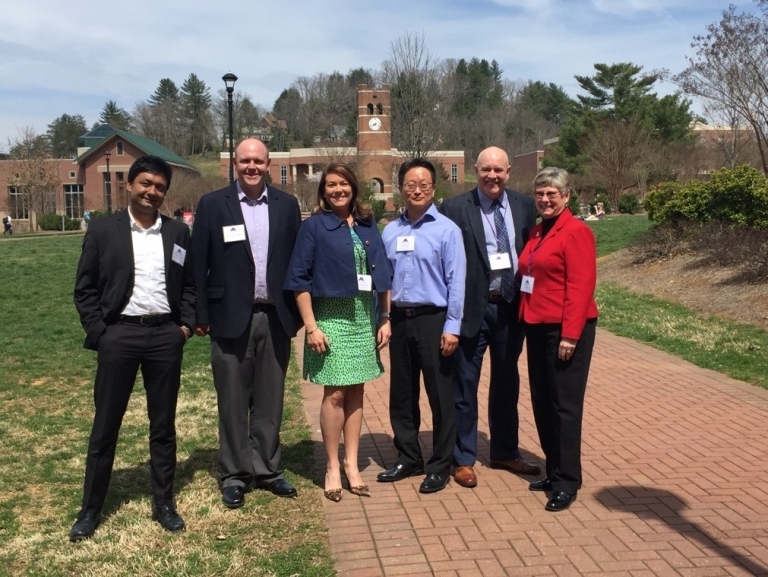 With the global expansion of accreditation by AACSB International, membership is no longer limited to those who have studied in the U.S. or Canada. 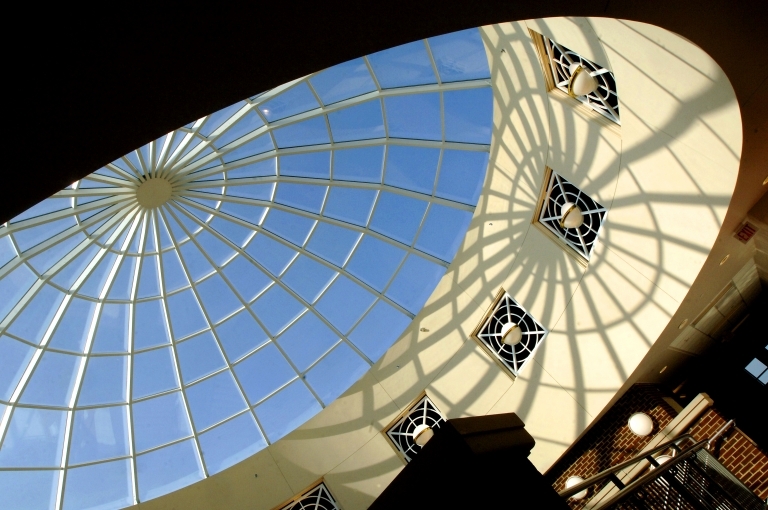 The mission and objectives of Beta Gamma Sigma are to encourage and honor academic achievement in the study of business and personal and professional excellence in the practice of business; to foster an enduring commitment to the founding principles and values of honor and integrity; to encourage the pursuit of wisdom and earnestness; to support the advancement of business through and to encourage lifelong learning; and to enhance the value of Beta Gamma Sigma for student and alumni members in their professional lives. Currently more than 500,000 individuals have accepted membership in Beta Gamma Sigma. They occupy key management and leadership positions in a variety of industries around the world. For more information on the honor society of Beta Gamma Sigma, visit www.betagammasigma.org. View the photo album on Facebook.